Shotokan Karate is a form of unarmed combat - "Karate" means "empty hand". However the "karate-ka" also uses their feet, knees and elbows. Karate as a martial art was cultivated in the island of Okinawa, south of mainland Japan. After many years, the development of Karate as a means of self defence gained tremendous popularity, as the Japanese government on the island had prohibited the use of weapons. Because of this national policy, the self defence techniques were developed into a unique Okinawan martial art of "Karate" or "empty hand". In 1922, Master Gichin Funakoshi, the founder of Shotokan Karate, introduced Karate to mainland Japan during the first National Athletic Exhibition held in Tokyo. The demonstration turned out to be a great success due to the inspiring personality of Master Funakoshi. He taught only one method, a total discipline, which represented a mixture of Okinawan styles. This method became known as Shotokan, which literally means "Pine waves Hall". The word Shotokan is comprised of three Kanji characters in Japanese - Sho To Kan. 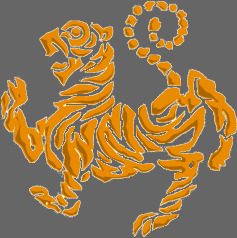 The literal translation is Pine Waves Hall, and is synonymous with the tiger symbol and Shotokan Karate today. Master Funakoshi's pen name was Shoto, and signs his works of calligraphy with his pen name. He would explain that the cool breezes, which blew among the pine trees where he lived, made a sound like waves breaking the shore. When viewing the Pine trees blowing at distance, it looked like a tiger’s tail. The tiger, which is commonly used as the symbol of Shotokan implies that the tiger never sleeps, therefore, is the keen alertness of the wakeful tiger. As you read the kun you will notice something. Each line begins with the number 1. Why? Why not 1,2,3, etc.? 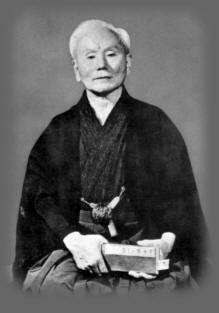 Well, Funakoshi sensei felt that no item of the kun was any more important than another. Therefore, each item was number 1. 120 Manton Ave. 4th fl.